These Minnesota Twins aren’t down for long. In a 6-4 win over the Detroit Tigers on Sunday, Minnesota’s early 2-0 lead was quickly erased by Detroit infielder Gordon Beckham’s two-run moonshot to center field in the second inning. But what did the Twins do in response? 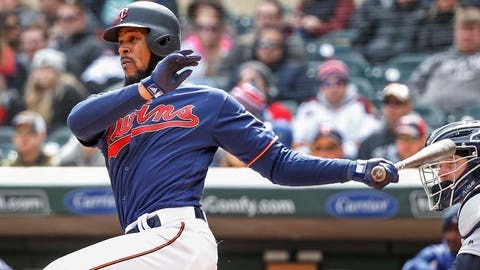 In the next half inning, outfielder Byron Buxton clobbered a double to left field, scoring catcher Mitch Garver from second base for a 3-2 Twins lead. Minnesota never trailed, rolling to its eighth win of the season. It’s what the Twins have been doing all season. In the last four games, the Twins have allowed runs in 10 different innings. In nine opportunities to hit the following half-inning, Minnesota has responded with runs six times. In fact, when opponents score a run, the Twins respond with at least one run the following half-inning 48% of the time. It’s not surprising that the top-five leaders in this category have a record of .500 or better. A big piece of the Twins’ success with responding to opponent’s runs has been their timely hitting. Only Toronto (114) and Cleveland (114) have had fewer plate appearances with runners in scoring position than the Twins (126). But Minnesota is making the most of those limited opportunities, hitting .287 with ducks on the pond, which ranks third in the American League. — Minnesota lost the first two games against Toronto last season but won the final four matchups by a combined 29-9 score, which included two shutouts. However, the Blue Jays have won four of the last six meetings at Target Field. — Jorge Polanco has three triples to his name already this season. Only four players in Twins franchise history have tallied more than three triples in the month of April — Christian Guzman (6), Cesar Tovar (4), John Castino (4) and Mike Pagliarulo (4). — Martin Perez will make his first start in a Twins uniform Monday night. He’ll try to solve Minnesota’s problem from last season with the back of its rotation. In 2018, Jose Berrios, Kyle Gibson and Jake Odorizzi combined for a 3.95 ERA and 8.83 K/9. The other starters strung together a 5.70 ERA and 6.98 K/9. — The Twins hold an 8-4 record and a 1.5-game lead in the division after 12 games. Last season, Minnesota was 7-5 and a half-game behind Cleveland in the Central. However, the Twins went on to go 3-12 over their next 15 games. This next stretch is important for Minnesota to set the tone for the rest of the season. Statistics courtesy Sportradar and baseball-reference.com.